Almaviva 2014 - A Superb Vintage! "Produced from a superb vintage, this wine strikes a wonderful combination of elegance and power." 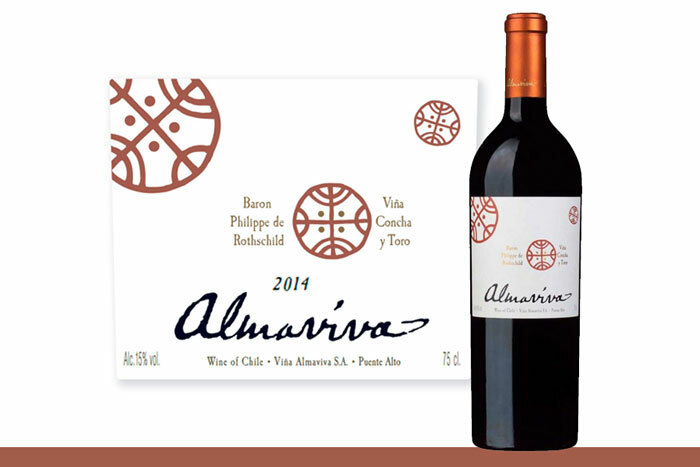 We are pleased to offer you our limited stocks of Almaviva 2014. Almaviva has been tagged as the most prestigious wine in the whole of Chile. A brainchild between Baron Philippe de Rothschild (Mouton Rothschild) and Viña Concha y Toro, Almaviva is produced with an original concept of a classically Chilean Bordeaux blend and later advanced by both of their winemaking cultures. Their first vintage 1996, received an immediate international recognition since it was launch in 1998.